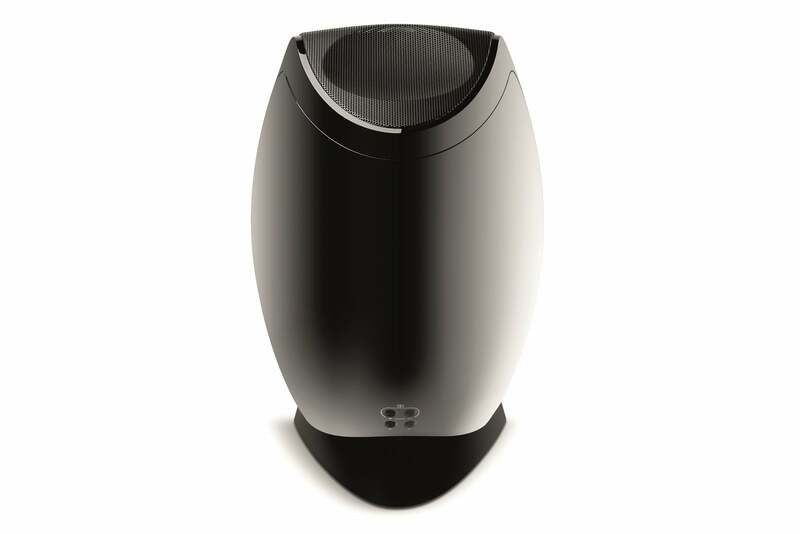 This speaker system delivers a solid surround-sound performance, but it doesn’t provide the perception of height. There are many good things about Focal’s Sib Evo Dolby Atmos 5.1.2 speaker system, which promises to deliver the Dolby Atmos experience at a price that won’t break the bank: Focal squeezes high performances from its satellite speakers and subwoofer, despite their compact cabinets. The satellites can rest on a shelf or be mounted to the wall and pointed in the directions that render them the most effective; and the system is attractive to look at. Where the system ultimately fails to impress, however, is the delivery of the Dolby Atmos experience. 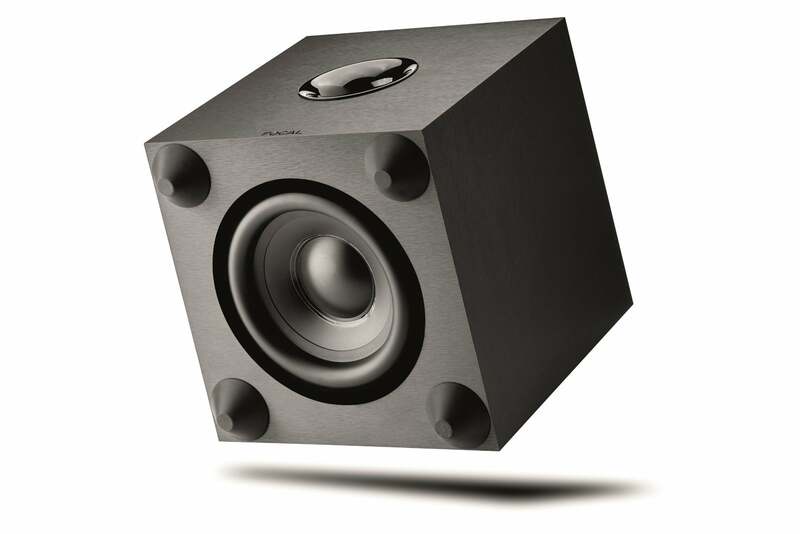 The .2 in the Sib Evo’s 5.1.2 name indicates its ability to reproduce two height channels in a Dolby Atmos soundtrack. In a more traditional configuration, height channels would be handled by discrete left and right speakers mounted inside your ceiling. That, of course, would require stringing new wiring through your walls and cutting holes in your ceiling. While it’s true that some speakers are designed to fit in holes where your existing can lights are installed, the two devices can’t occupy the same space at the same time. Ceiling speakers aren’t an appealing option for everyone—and in some home theaters, it might not be an option at all due to the room’s architecture. Focal gets around this by placing up-firing drivers in the tops of the front left and right speaker cabinets. Each of those satellites has two sets of push-button, spring-loaded wire sockets in the back, so your A/V receiver can feed the height channels independently of the front left and front right channels. Unless the wiring for whatever existing front satellites you have is routed through the walls, accommodating the Sib Evo’s front left and right speakers will be a minor issue of adding one additional wire pair for each speaker. The front pair of speakers in the Sib Evo Dolby Atmos 5.1.2 have up-firing drivers mounted in the tops of the cabinets. These are driven by a discrete amplifier in your Dolby Atmos-compatible A/V receiver and are designed to bounce audio height cues off your ceiling. Whatever your situation might be, you’ll need to provide your own speaker wire, because none is included with the package. The wire sockets are a bit finicky, too, and they can’t accommodate more than 18-gauge wire (wire with a cross section measuring .75mm). The ends of the wires must be bare—you can’t use banana plugs or spades. If you already have a 5.1-channel surround-sound system, you can buy just the Sib Evo Dolby Atmos speakers in a two-pack as an upgrade ($599 at Amazon). You’ll also need an A/V receiver that’s capable of decoding Dolby Atmos soundtracks, of course. I used an Onkyo TX-NR737 for the job, which uses a dedicated amplifier to drive your choice of front height channels or rear surround channels (it can’t do both). One reason the Sib Evo system is so affordable is the material used in its construction. The satellite cabinets are fabricated from ABS plastic, which is inexpensive and easy to manufacture if not quite as acoustically neutral as something like MDF (medium density fiberboard). Each of the front left, right, and center channels house a 0.75-inch soft dome tweeter and a 5-inch woofer. The front left and right speakers have 4-inch full-range drivers mounted in the top of the cabinet for Dolby Atmos effects. 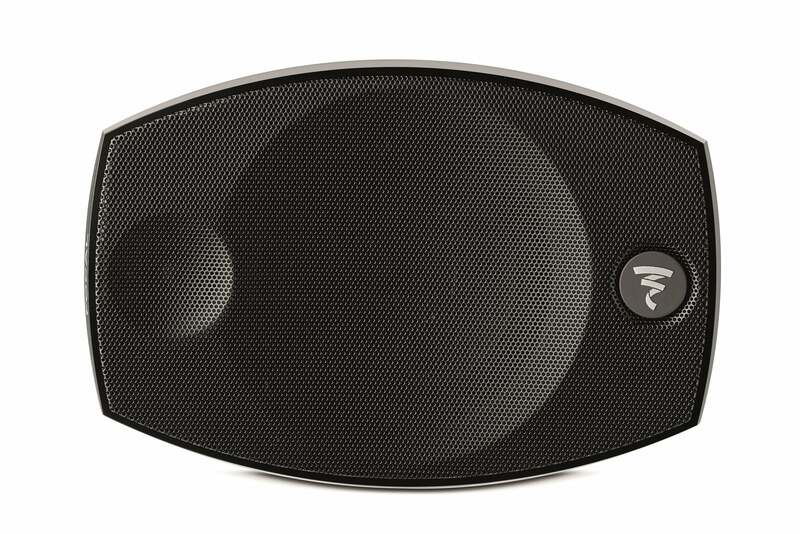 Focal’s Evo Cub powered subwoofer has a bottom-firing 8.25-inch cone woofer driven by a 200-watt Class D amplifier. The 5.1.2 bundle includes Focal’s Cub Evo, a smallish powered subwoofer with a 200-watt Class D amplifier driving a down-firing 8.25-inch cone woofer. The sub is housed inside a ported MDF cabinet. Focal claims frequency response of 35Hz to 150Hz for the sub, 65Hz to 25kHz for the front channels, 90Hz to 20kHz for the Atmos channel, and 70Hz to 25kHz for the surround channels (all frequency response numbers are +/- 3dB). The satellites present 6 ohms of nominal impedance, and Focal recommends amplifier power ranging from 25 to 200 watts. Focal declined to elaborate on the materials used to fabricate the drivers, other than to say the tweeters in the satellites are made from fabric, and all the other drivers—including the one in the sub—are made from Polyflex. Products claiming the name Polyflex range from the raw material you feed a 3D printer to a broad-spectrum antibiotic for horses, so it’s anyone’s guess what Focal uses. But to be fair, reticence to share granular details about such things is not unusual in the home audio business. 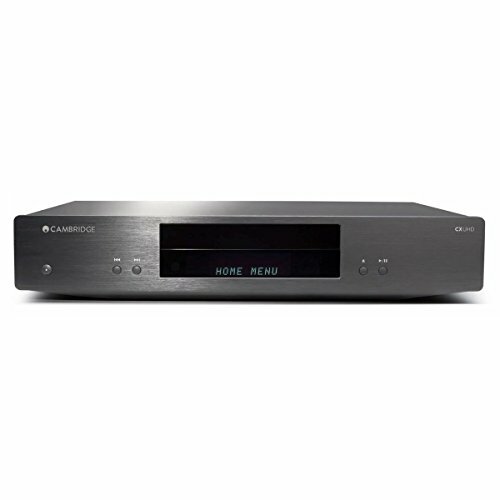 In addition to the previously mentioned Onkyo receiver, I used Cambridge Audio’s CXUHD 4K Ultra HD Blu-ray player to watch a few movies on a 55-inch Samsung Q7F quantum-dot smart TV ($1299 at Amazon). Focal’s Cub Evo subwoofer surprised me with its ability to deliver low-frequency effects with movies such as Mad Max: Fury Road and Star Wars: The Last Jedi. The front-facing port on that box moves an incredible amount of air. While I couldn’t quite feel the rumble of engines and the sound of fists landing body blows in George Miller’s dystopian masterpiece, the bass response was impressive for the price of this system (there are many subwoofers that cost more than this entire collection of speakers). I used the Onkyo’s AccuEQ room calibration system to match the receiver and speaker combination to my room before my listening tests, but I was also curious to see how hard I could push the subwoofer beyond that recommendation (there’s a volume control on the back of the cabinet). I quickly discovered that the answer was not too far. Moving the knob much further than the halfway point caused the sub to distort in a rather unpleasant fashion. But hey, enough is enough, and the Cub Evo as calibrated certainly delivered enough oomph to satisfy my craving for bass with both music and movies. The center channel can be oriented either vertically or horizontally (as shown here). The logo can be rotated accordingly. The Focal’s center channel, meanwhile, reproduced the speech element of these movies’ soundtracks with crisp clarity, rendering dialogue easy to understand even amongst the explosions and cannon fire, the crackle of lightsabers, and all the other noises that render these action films so much fun to watch. The smaller surround speakers held up their part of the bargain, too, making me feel immersed in the action. The one element that was missing from my experience with the Sib Evo Dolby Atmos was the sensation of height. My ears never perceived audio events as happening anywhere but on a flat plane about three feet above the floor. The Atmos drivers in the two front speakers are designed to bounce sound off my home theater’s ceiling, but the speakers were either too far from that surface (I measured 70.5 inches from the top of the front speakers to the ceiling) or the amplifier just wasn’t strong enough to project sound waves that far. Focal does include a pair of wall-mounts with this system, so elevating the front channels might have done the trick, but the front of my home theater consists of wall-to-wall, floor-to-ceiling cabinetry. There’s no way I can mount front-firing speakers on that wall. Not for me, maybe for you? Focal’s Sib Evo Dolby Atmos delivers a strong performance for its price. 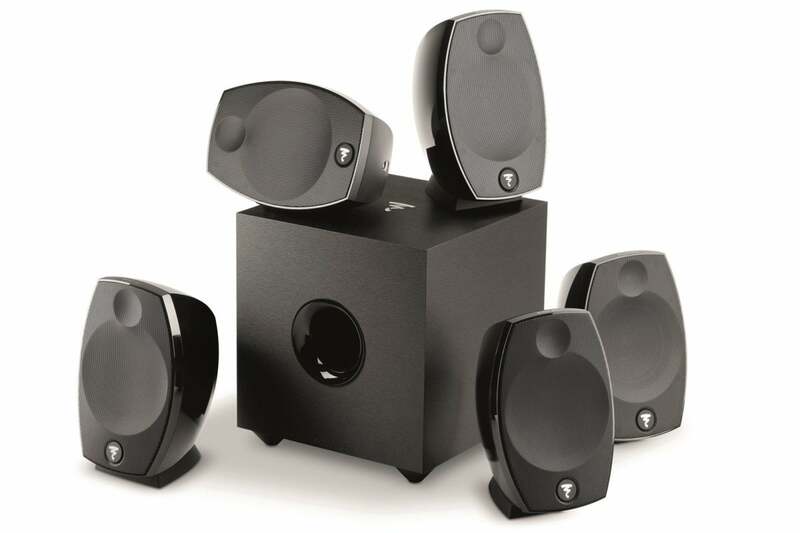 Apart from a few niggling details, such as the finicky spring-loaded wire connections, these speakers are well designed and manufactured, attractive, and they deliver excellent performances with both music and movies. But when it comes to delivering on the promise of Dolby Atmos without needing to invest in ceiling-mounted speakers, I was much less impressed. This could be related to the acoustics of my home theater—perhaps the ceiling is just too high for up-firing speakers to be effective. I did, after all, have a similar experience with Creative’s high-flying Sonic Carrier soundbar a few months back. My recommendation: If you want the Dolby Atmos experience without cutting holes in your ceiling, you have a capable A/V receiver, and the Focal Sib Evo fits your budget, give it a shot—it might work great in your home theater. Just make sure the source you’re buying it from accepts returns in case it doesn’t. Focal delivers an impressive home theater speaker system for the money, but one that fell short of delivering a great Dolby Atmos experience in our listening environment.